… something magical is happening in Jerusalem. This ancient and holiest of cities, with its seminal architecture, 4,000-year history and deeply cultural landscape, is being infused with dynamic layers of contemporaneity. Indeed, Jerusalem is experiencing its own rebirth with an inspiring wave of youthful energy and a ubiquitous contemporary A&E movement, not to mention a mouthwatering culinary and social scene that is as innovative and diverse as the city itself. Each guest of TBEX International 2017 is invited to enjoy one of two amazing Jerusalem night events. Then join Abraham Hostels & Tours as we wrap up Tuesday Night at TBEX by guiding you through a festively entertaining Jerusalem Pub Crawl! Transportation details are listed below under each Jerusalem by Night Experience. There is no charge for entrance to these Tuesday night TBEX International 2017 events; however, REGISTRATION IS REQUIRED, and links are provided below. 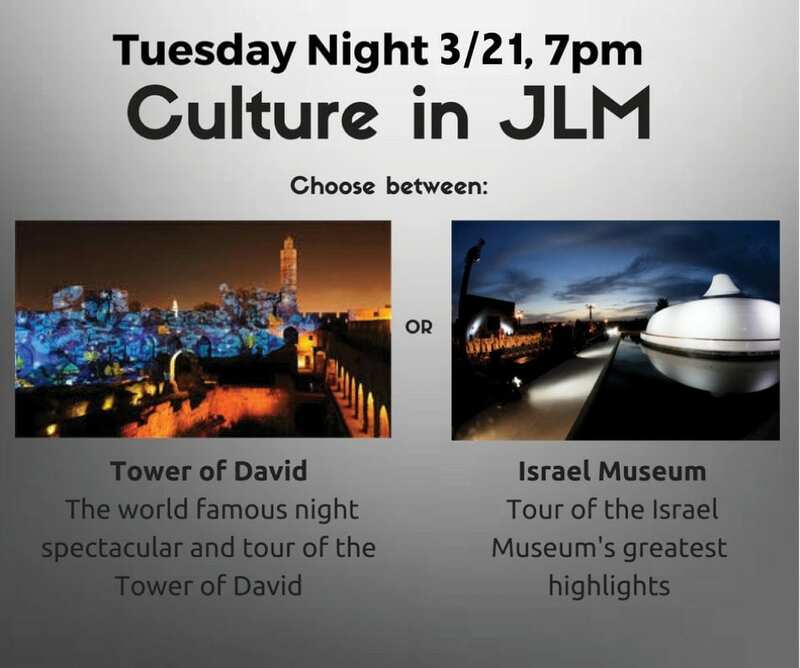 The Tower of David Museum has generously sponsored a Tuesday viewing of their Night Spectacular for TBEX participants. This awe-inspiring event is the first of its kind in the world, and is set within the most iconic of surroundings! 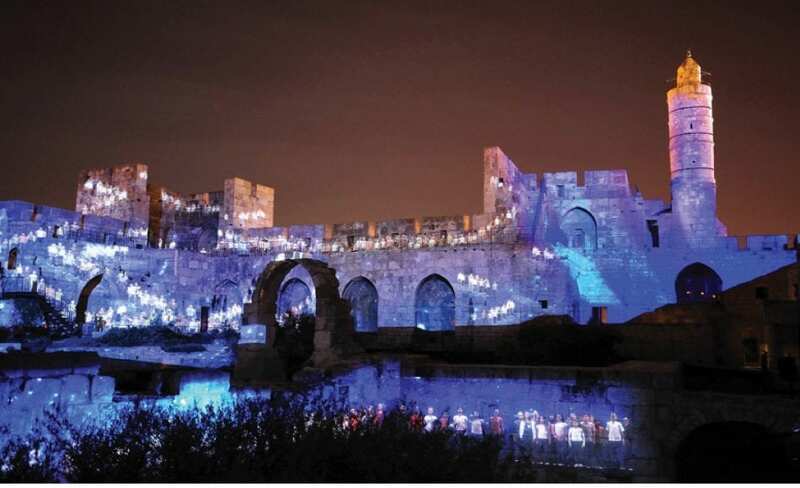 The ancient walls of the King David Citadel serve as a magnificent theatre and backdrop for this celebration of sight and sound. Amidst the archaeological remains in the Citadel’s courtyard and the sounds of original music, the story of Jerusalem unfolds through giant breathtaking, virtual reality images. The Night Spectacular is appropriately designed for everyone – locals, visitors from around the world, families, speakers of all dialects, and especially those who love the magic and majesty that is Jerusalem. The Tower of David Museum and Night Spectacular is easily accessible via Jerusalem’s numerous public transportation systems, which are very affordable and safe. Please plan to schedule your transportation to arrive at the Tower of David Museum in time for the 7:00pm start of the event. For participants continuing on the pub crawl after the Tower of David Night Spectacular, public transportation is easily accessible to Abraham Hostel from the Tower of David Museum. Registration for the Tower of David Night Spectacular is required; please sign-up here. 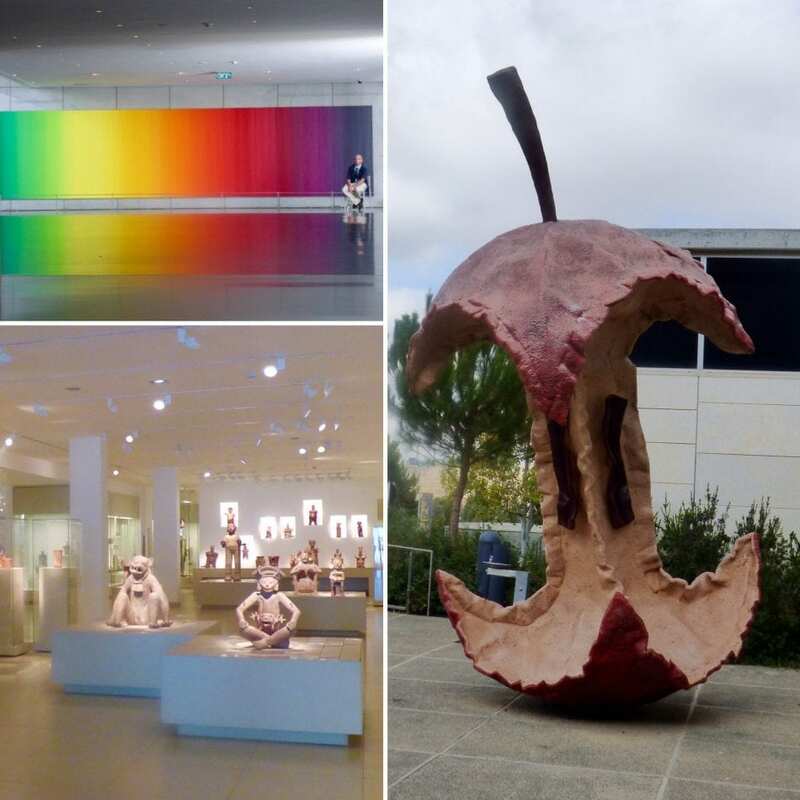 The renowned Israel Museum has quickly become a must-see destination in Jerusalem. From ancient prehistoric artifacts to modern Israeli art, this museum houses a world-class range of rotating and permanent exhibits. At the heart of the museum is the Shrine of the Book, a dome-shaped monument that houses the Dead Sea Scrolls. The newly renovated Israel Museum ranks #4 out of 298 things to do on TripAdvisor. It is itself, a contemporary lesson in Israeli history. The Israel Museum has generously offered to sponsor guided tours on Tuesday evening for TBEX participants. Transportation to the Israel Museum will be provided by coach. All registrants will meet at the David Citadel Hotel where the buses will depart at 6:30pm. Please plan to be at the David Citadel no later than 6:15. Coach buses will also transport participants of the Israel Museum tour back to the David Citadel hotel – or to Abraham Hostel (for those continuing on the pub crawl) after completion of the tour, so please make sure you select the bus that is continuing on to your desired destination after the tour has ended. Please note: it is the responsibility of each individual to plan for transportation to and from the hotel where you are staying to the David Citadel and/or Abraham Hostel (after the pub crawl ends). Registration for the Israel Museum is required; please sign-up here. After enjoying one of these Tuesday evening Jerusalem cultural experiences, you’ll undoubtedly need to refresh and reflect with a drink or two. 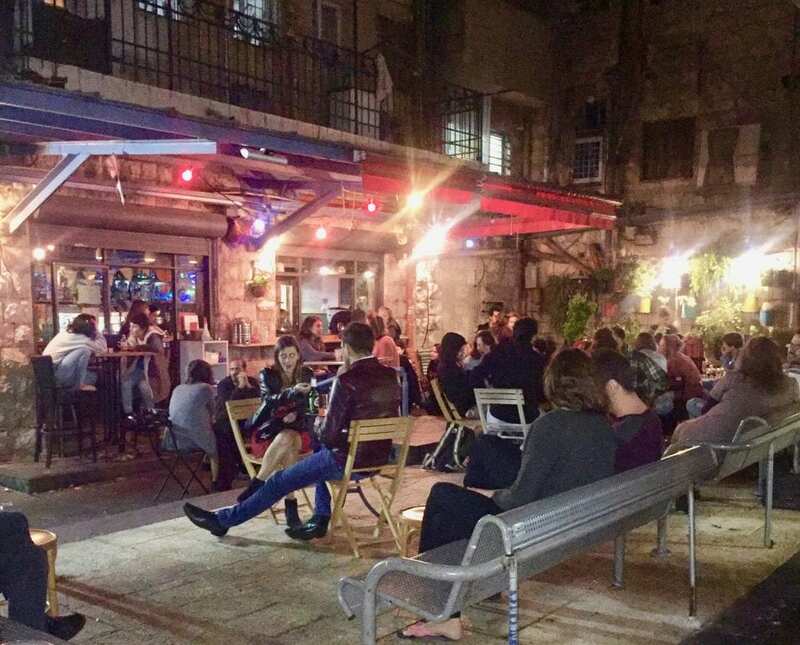 Experience Jerusalem’s dynamic nightlife scene with Abraham Hostels & Tours on a guided Jerusalem Pub Crawl. Starting at 9:30pm. (TBEX participants are responsible for purchasing your food and drinks during the Pub Crawl.) Participants will meet at the Abraham Hostel. Wear comfortable shoes, as you will be walking from and returning to the Hostel. Transportation details are included above, in the Tower of David Night Spectacular Experience description and the Israel Museum Experience description. Registration for the Pub Crawl is required; please sign up here.